Give your mouth complete care with Listerine Total Care Stain REMOVER Anticavity Mouthwash. 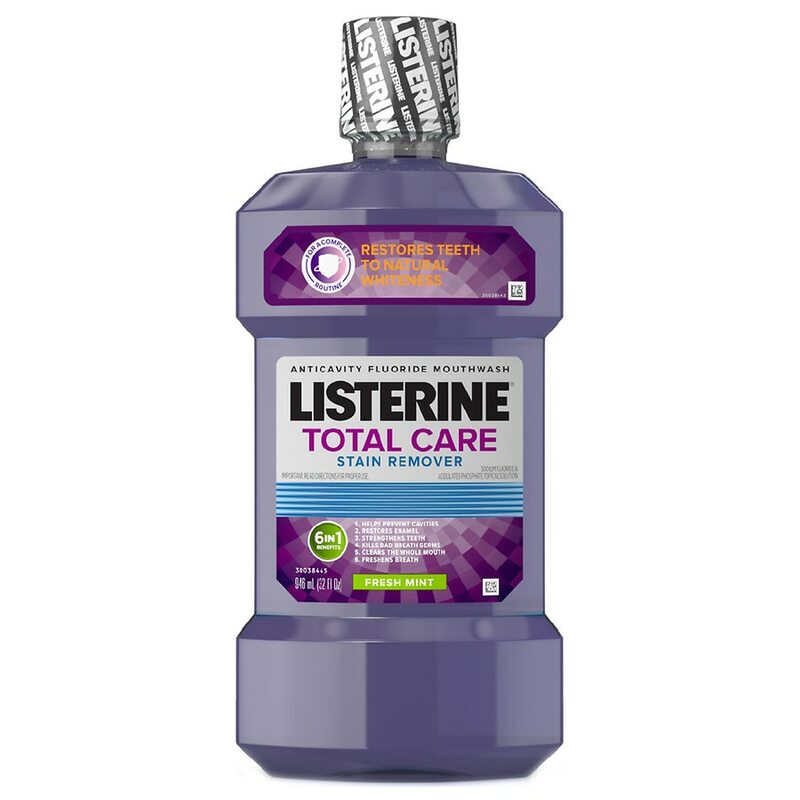 More complete than any other mouthwash,* Listerine Total Care Stain REMOVER provides the same six benefits in one as Listerine Total Care Anticavity Mouthwash, plus helps restore teeth to natural whiteness.. The fluoride formula helps prevent cavities, restores enamel, and strengthens your teeth, making them 50 percent stronger than just brushing alone. ** It freshens breath, kills germs that cause bad breath, and cleans your whole mouth. The smooth Fresh Mint flavor gives your mouth a clean feeling you can taste. *Among OTC fluoride rinses. **In laboratory studies. Protect from excessive heat (40°C/104°F). Stop use and ask a dentist if oral irritation or tooth sensitivity occurs. Keep out of reach of children. If more than used for rinsing is accidentally swallowed, get medical help or contact a Poison Control Center right away. Do not use if printed band around cap is broken or missing.